Some people are naturally artistic, crafty, and love doing projects like this. I, however, was terrified. 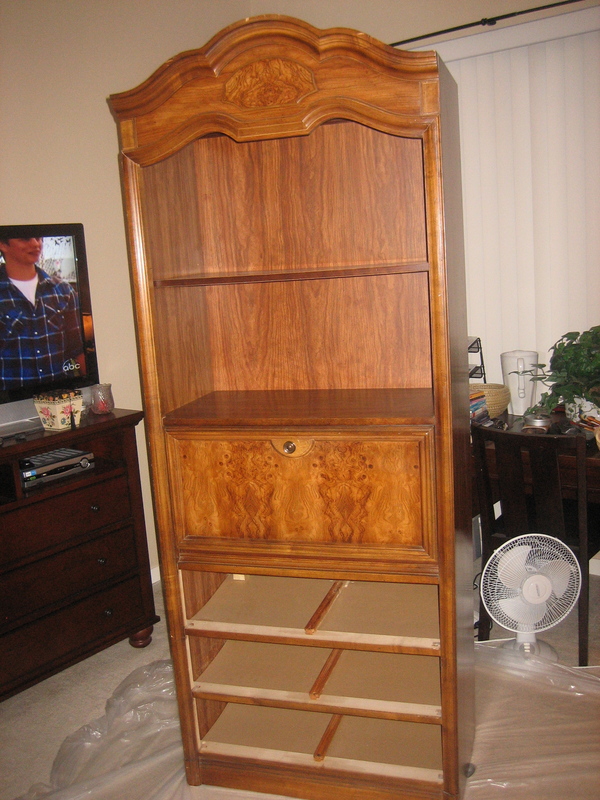 I had never done anything like this before and was scared to death of ruining this antique, family heirloom. 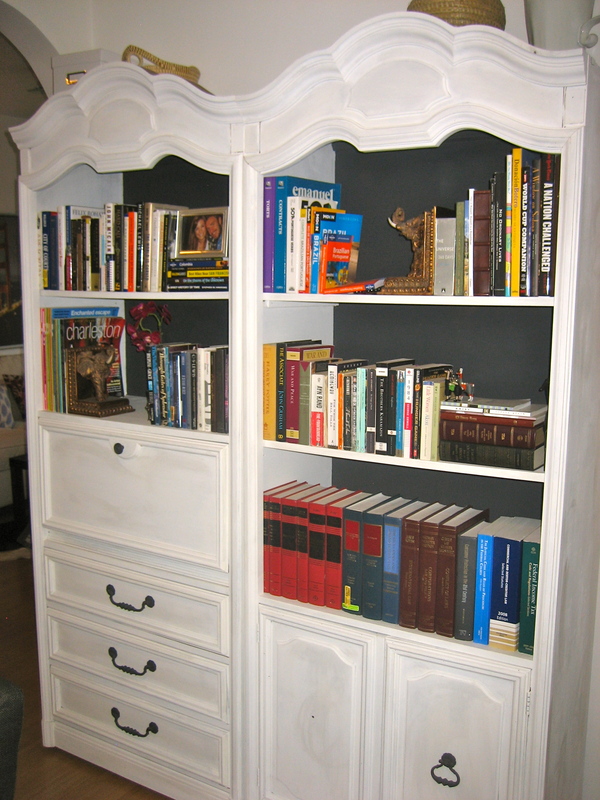 That being said, I was inspired by photos online and especially by my dear friend, Emily Penn, and all of her DIY furniture makeover successes. 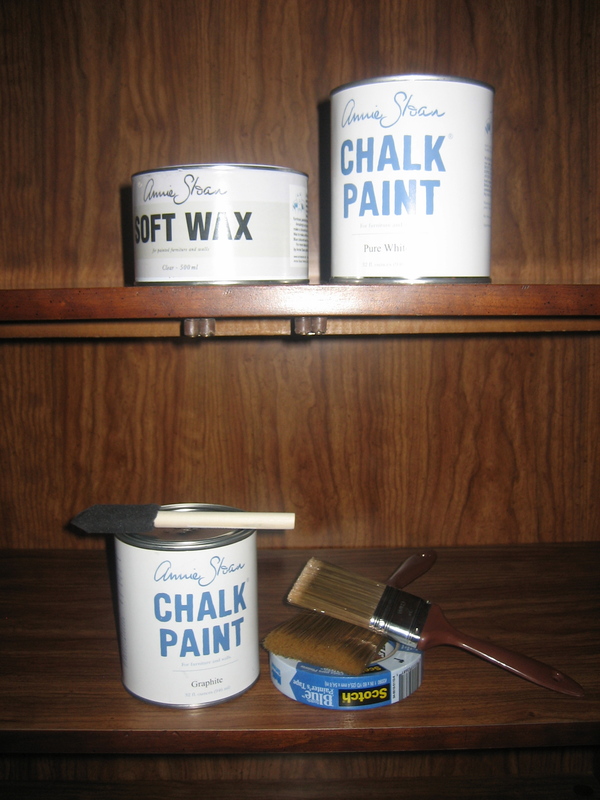 Emily introduced me to Annie Sloan’s Chalk Paint which allows you to paint directly on literally any surface without having to sand, prep or prime the area first. This was MAJOR for me as I never could have managed all of those additional steps. This chalk paint is only sold in select locations so I drove an hour South to San Jose and picked up my supplies at Magpie! The ladies there were very helpful and gave me some pointers before I headed out. One more stop at Lowe’s to get a couple of brushes, tape and a painter’s tarp for the floor, and I was ready! 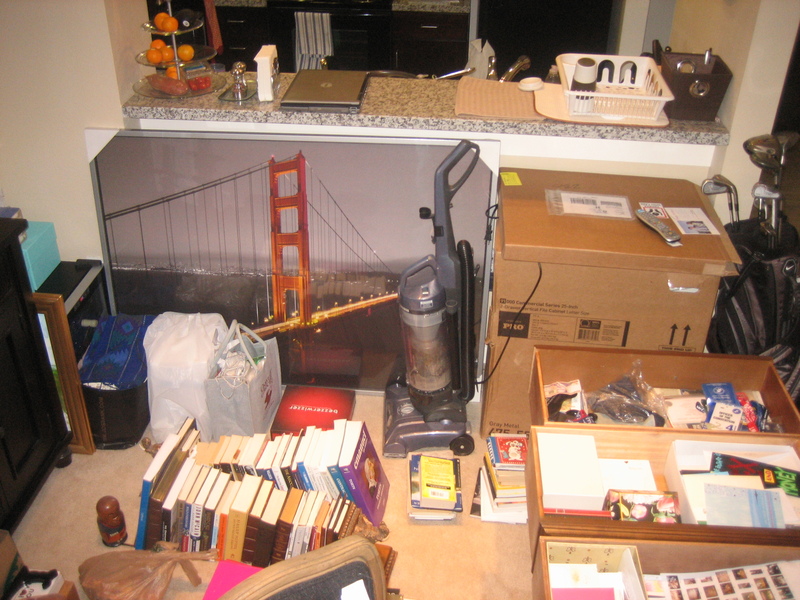 That evening I started the preparation process and moved everything off the shelves. I pulled them away from the walls and laid down my tarp on the floor. I got it alllllll ready but I was too scared to open the paint, so I decided I to wait until the next day. 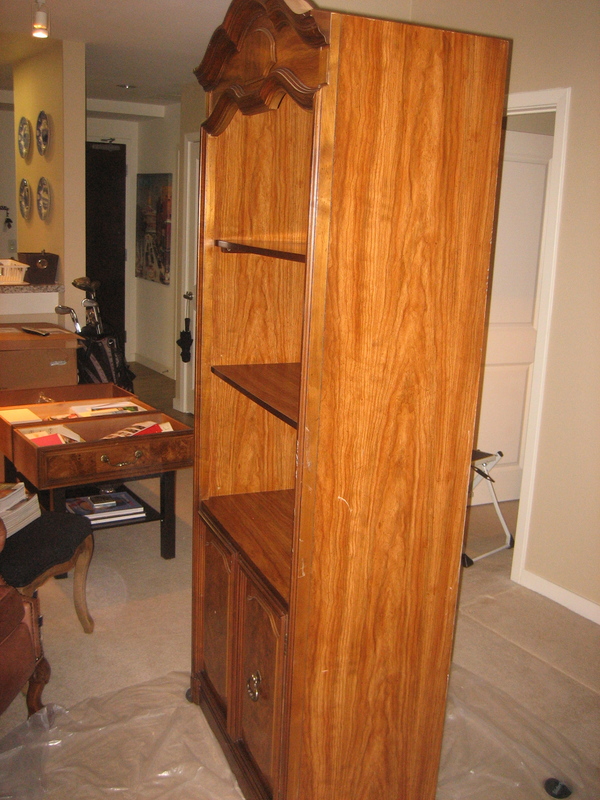 At the point of the photos above, I was absolutely petrified that I was effectively ruining this furniture beyond repair. 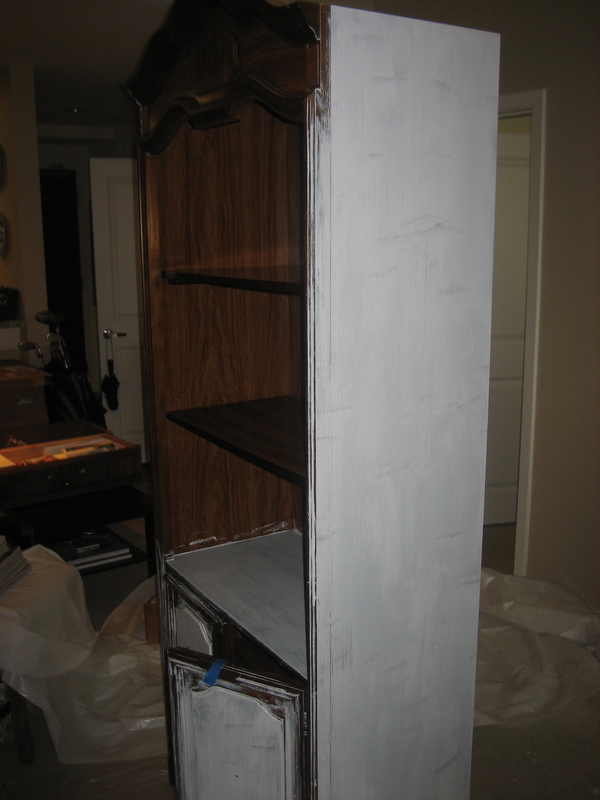 The first coat went on streaky and uneven and the wood was showing through quite a bit. 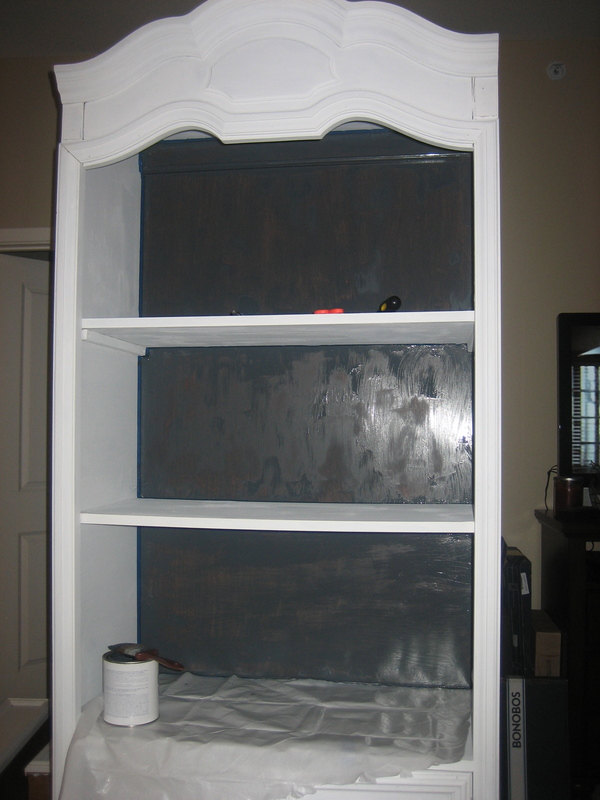 I was crossing my fingers that the second coat would be the difference, and it was huge! 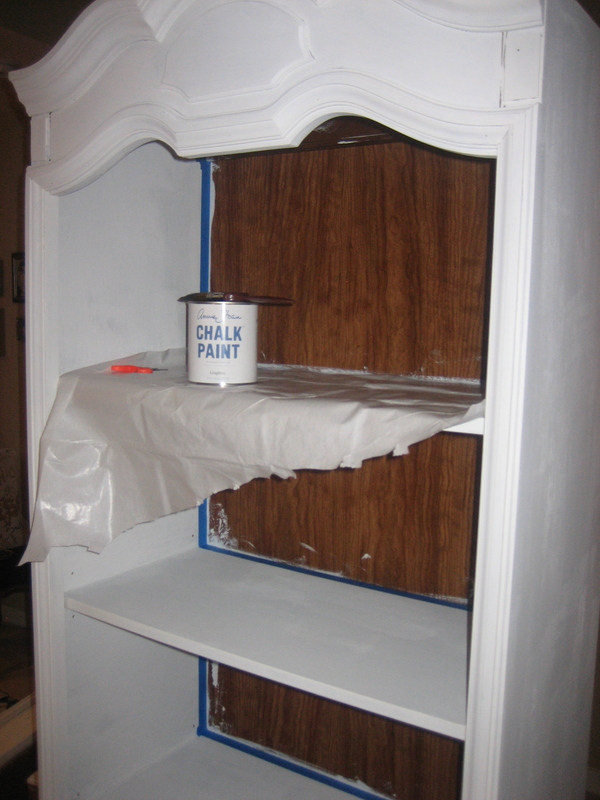 I actually could have used some more in certain areas, but I ran out of the white (which says a lot for the size of these shelves — I had been told that this paint “goes on and on forever.”) I debated going back to the store for more, and had it been just down the street, I probably would have, but at this point I just wanted the shelves to be DONE as soon as possible! (And in reality, I will probably re-paint these in a few years something totally different.) Anyway, after the white I wanted to paint the backs black to give it a little more of a modern look / some visual interest. Nice job, Ashley! Pat and I have been slowly updating furniture we inherited this year. It turned out to be a huge project, but totally worth it. 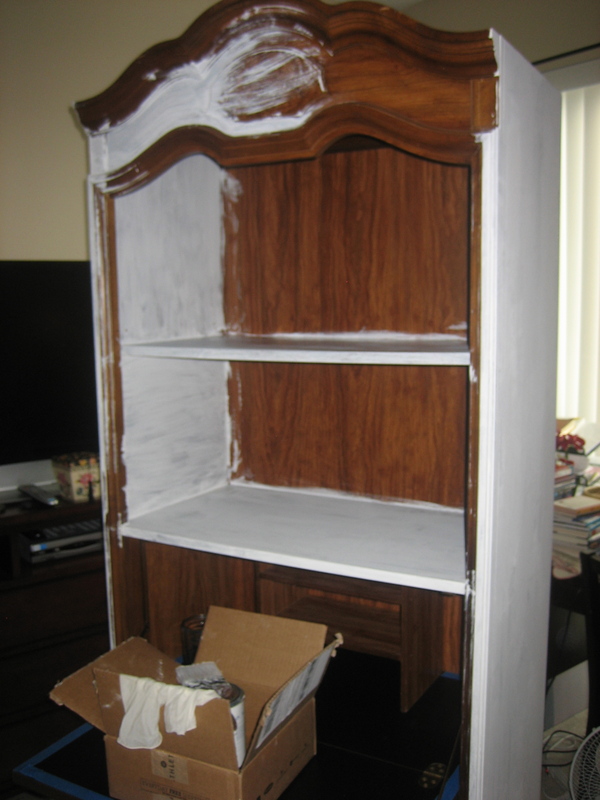 Next time we’ll have to try the chalk paint—sanding was the worst! I LOVE THEM! They look so, so good. I am beaming from the North American continent. I really like the black backs. I’m thinking about the hardware…hmmm…it seems like you might to replace it all (eek) if you can’t fix the broken piece, otherwise it might look out of place. Keep painting and doing projects like this…it gets easier (and more fun because you aren’t scared) every time! Thanks for the shout out! Maybe one day we can paint together. Love you! Thanks Emily!! I will definitely need to replace the hardware — just did it too soon before moving and have not gotten around to it.